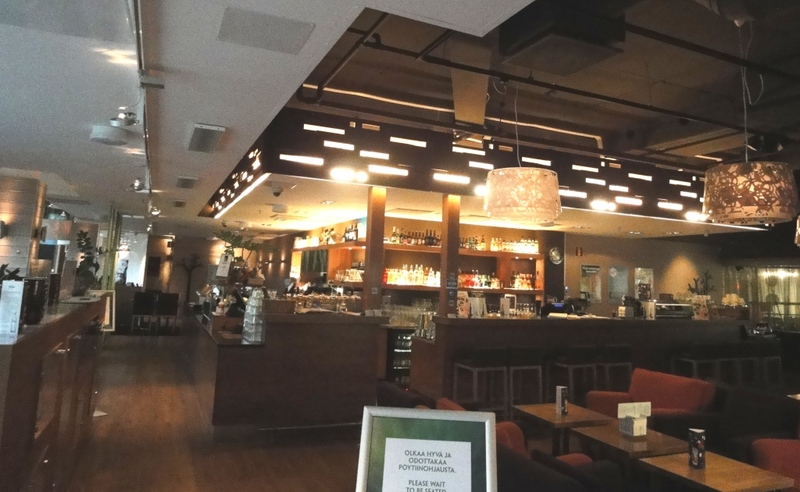 Restaurant Kaarna is located in the Forum Shopping Center serving Finnish traditional food. Concept includes dining area and so called living room (bar) at the 2nd floor and small bar at the first floor. Ask for window table and you can the follow passers-by at Mannerheim Street. If they say that restaurant is fully booked (phone or email) you might anyway get the table you requested. 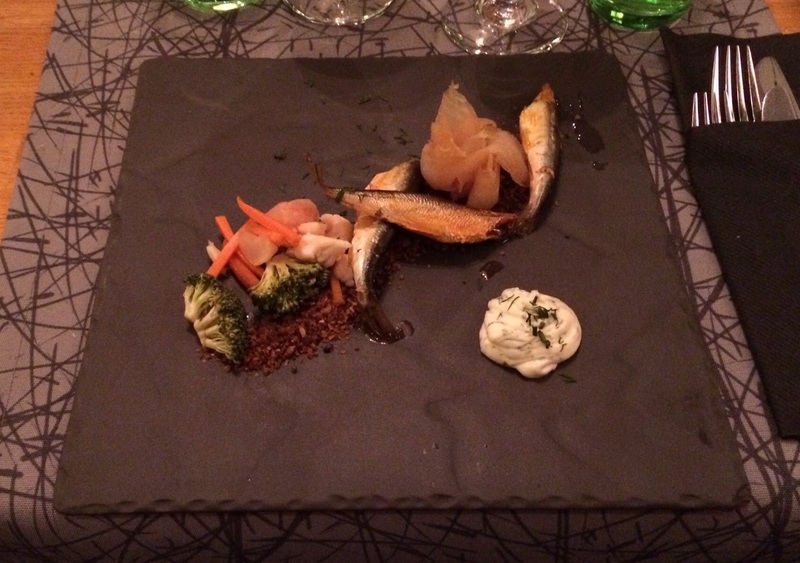 From the Nordic Tapas plates we chose Kaarna fish plate Smoked vendace from Kitka, cold-smoked pike, pickled vegetables and rye malt breadcrumbs. 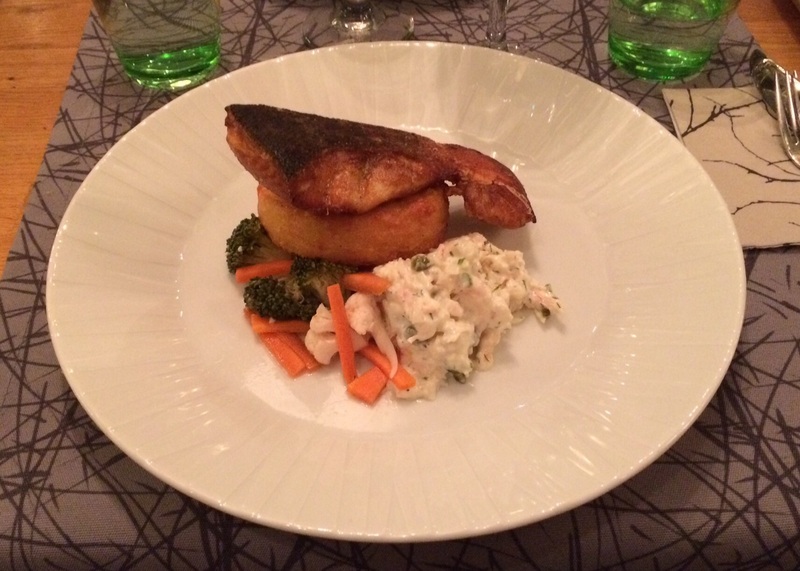 This is THE starter you have to choose, if you like fish. Of course you can order same dishes as separate starters but one part of experience is setting of food pieces. Tapas might mislead you, but word Nordic before it explains everything. They are small Finnish or Scandinavian dishes. 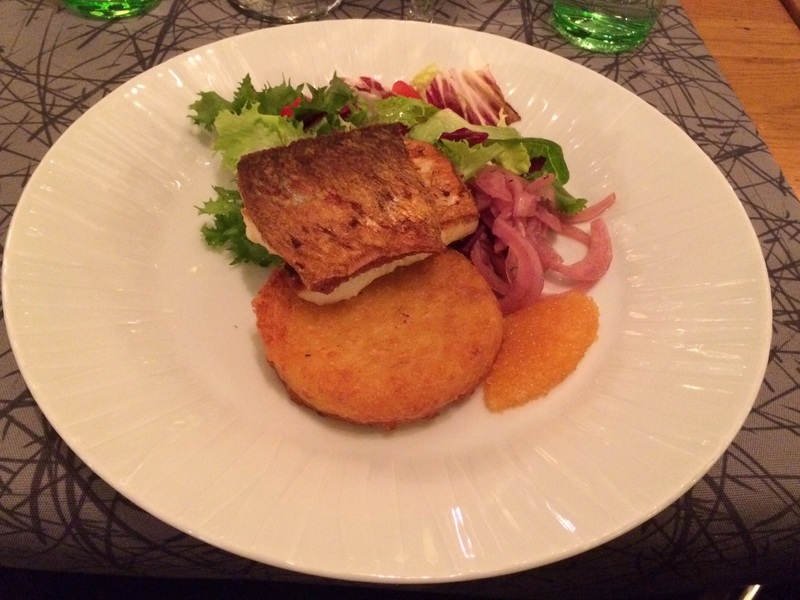 For main course we had Smoked salmon with pickled vegetables, shrimp mayonnaise and potato rösti and Fried whitefish with potato rösti, spinach and whitefish roe. Unfortunately kitchen did not succeed with these portions. Salmon seemed to be smoked and fried, because it was so dry and even greasy. Pickled vegetables were the same as in starter. Also whitefish was over-fried. We asked to replace spinach with someting else and best choise was salad. Also asked not to include onion but got plenty of it. Potato röstis in both portions were like fast food stuff. Wine list is is short, Kaarna focuses more on beers. 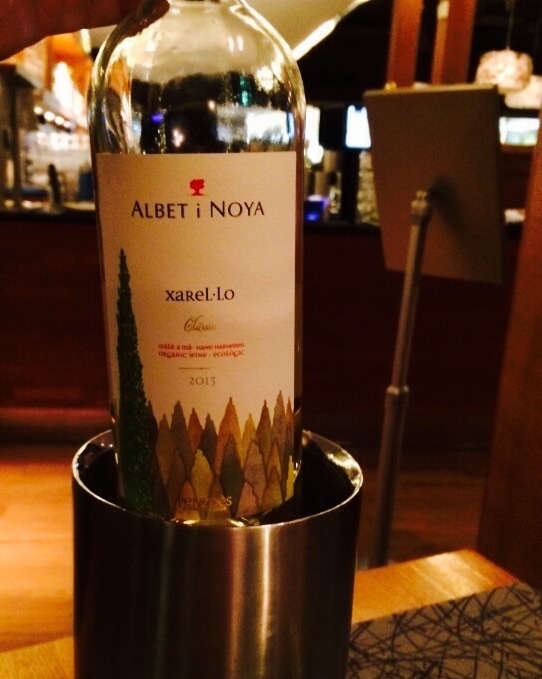 Had bottle of Albet i Noya Xarel·lo Classic from Spain. All white wines were organic like this one. Light and fruity wine paired well with starters and fishes. Main courses dropped points a lot. Service was customer friendly and as restaurant was not so crowded, waiter and waitress had time to serve us. Maybe Boxing Day affected the level of food. On the other hand last time was not either succesful when it came to main courses. 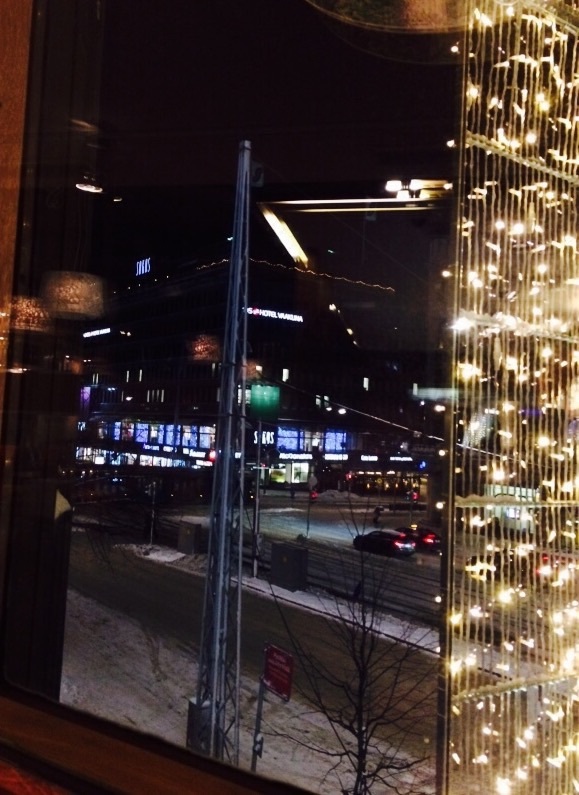 Kaarna library bar is worth to visit, cozy couches and so on. You should also taste Nordic tapas but choose main course carefully. Meat dishes might be best choise. Ravintola Kaarna: Suomalaista ruokaa – suomalainen keittiö – forum. Fantastic blog. Thanks for the follow. Finland is on our list of must visit places, so your blog will be very useful. Thanks! Finland is worth to visit, welcome!